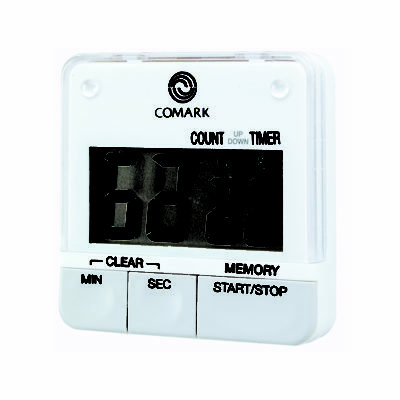 The Comark range of simple and easy-to-use kitchen timers includes devices with both countdown and count up functionality – all round devices for use in food catering, food retail, food service and even food processing environments. Please select one of the kitchen timers below to view more details. The UTL264 Kitchen Countdown Timer is designed with a large, user-friendly display and has an audible alarm buzzer, a magnetic clip and an easel stand. 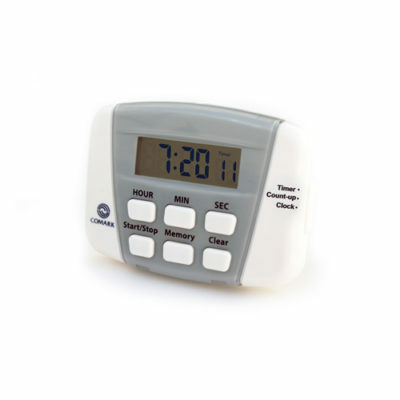 The UTL882 Kitchen Clock and Timer has a magnetic pocket clip and stand and has a 24 hour countdown timer, memory timer and clock that operate separately. 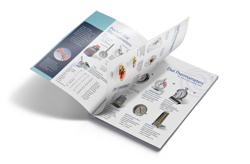 The HLA1 Cooking and Cooling Thermometer with Timer provides a cost-effective option for HACCP compliance for both cooking and cooling. 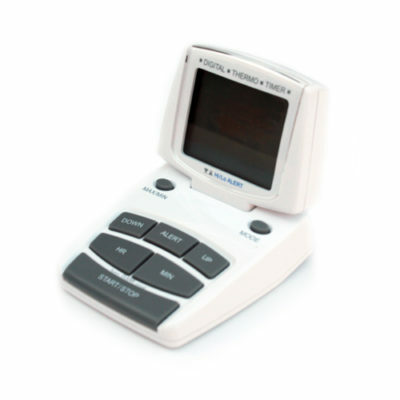 The device combines a timer with a thermometer. Timers are a great addition to kitchen life, helping busy cooks to juggle various cooking times, but even just to ensure the humble boiled egg is cooked to perfection every time. Countdown timers are particularly useful, due to the loud audible alarm that signals the time’s up, alerting you that action or intervention is required. The right device will depend mostly on the functions that you wish it to perform. Most people require a countdown timer function, to alert them that the cooking time of a particular item is potentially up and that it is time to check its status. A count up timer function can also be useful if you are trying out a new recipe for example, and want to measure how long its taken for it to cook through, exactly as you require it. Once recorded, the time taken to cook the item can then be used in the countdown timer for future batches.